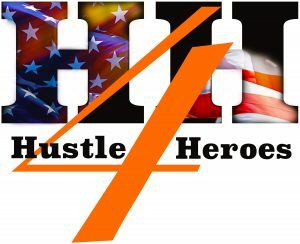 Hustle 4 Heroes is growing! So many exciting things are being planned for this event. Unfortunately there are so many awesome events happening around the triangle the same weekend as H4H is planned. We have decided to postpone the event until the spring so that everyone WHO wanted to be a part of it can be there in full force. We will continue to announce developments! Thank you for the support! Click here to buy tickets, become a sponsor, buy tickets and more! This should be a great day for the whole family. A different obstacle or activity will be on each hole of the golf course. The end of the course will also have the “patriot village” filled with vendors and organizations. Come out watch, participate, shop. It should be a beautiful day and a great cause. This race is not about winning but about joining together to show our support for our military veterans and their families through bouncing, running and sliding our way to the finish line! You will need to sign your waiver at packet pick-up. 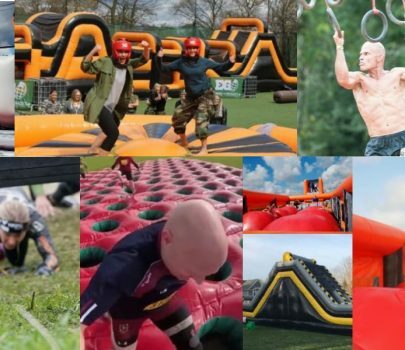 If you are under the age of 18 you will have to have a parent sign the waiver. Packet pick-up will be Friday, October 19, 2018, 4:00pm-6:00pm at the TPC Wakefield Plantation Sports Club (3550 Canes Way, Raleigh, NC, 27614). Waivers can also be signed the morning of the event at checkin. If you do not sign the waiver you will not be able to compete in the race. Yes! There will be a volunteer taking pictures at the event. All pictures will be posted on our Facebook page and you are welcome to bring your own camera. *Remember to use #TAKE5SAVE5 when posting your pictures! We unfortunately will not be able to refund your registration. However, you may transfer your registration to a friend. Please email Natalie Clemens (nclemens@ccwakefieldplantation.com) for more information. We will run the event rain or shine! We will not run the event if the wind is above a certain mph (based on inflatable company recommendations) or if there is a thunderstorm. If there are spots available, you can transfer your registration to another wave time. Please email Natalie Clemens (nclemens@ccwakefieldplantation.com) for more information. Yes, you may transfer your registration to someone else. Please email Natalie Clemens (nclemens@ccwakefieldplantation.com) to make this change. We must receive the request in writing so we can be sure to get a waiver from the new registrant. Your registration includes a t-shirt, dogtag commemorative medal, food ticket for lunch from Chick-fil-A Wake Forest, and a registration packet filled with swag from our sponsors and local businesses. There is no weight limit but only a certain number of people will be allowed on an obstacle at a time. Of course! if you feel uncomfortable completing any of the obstacles, just walk around it. Children under the age of 12 must run the event with a parent and the parent must accompany the child for the entire run. Will I receive race information before the event? Yes, we will be sending you updated information regarding parking, weather, etc. via email and also updating the website. Yes, you can purchase your day-of registration at the Registration Tent. The prices will be higher the day of the event and you will be limited to open waves only. Packet pick up will be 4:00pm-6:00pm at the TPC Wakefield Plantation Sports Club (3550 Canes Way, Raleigh, NC, 27614) on Friday, October 19, 2018. Unfortunately, no. You must present ID at packet pick up and sign the waiver so no one else will be allowed to pick up your packet for you. If you are a parent picking up a packet for your child, you may sign their waiver and pick up their packet without them present. No, we understand if you can’t make it to packet pick up on Friday night. You can get your packet at the registration tent on event day. Absolutely! And we encourage them – the crazier the better! My question wasn’t answered, what should I do? Please email Natalie Clemens (nclemens@ccwakefieldplantation.com) if your question was not answered.